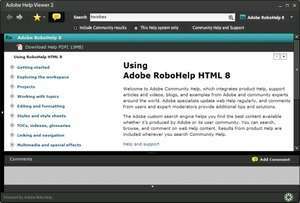 Adobe Help Viewer is a free, downloadable application that provides Help navigation for Adobe Creative Suite software products. Adobe Help Viewer does not include the specific help files for the applications that it supports. For security reasons, you should also check out the Adobe Help Viewer download at LO4D.com which includes virus and malware tests. Additional screenshots of this application download may be available, too.